Mark Zuckerberg has been rather busy of late, what with spending $19 billion on Whatsapp and trying to get the whole world online through the internet.org initiative. 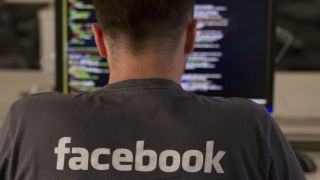 But this hasn't stopped him from wielding the axe over Facebook email – something he claimed was the "future of modern messaging" when it was launched back in 2010. Turns out it really, really wasn't. Facebook told the Verge that the reason for the demise of the service is because it is "most people haven't been using their Facebook email address." This doesn't surprise us given that in 2012 Facebook forced its branded emails on to everyone that uses the social network. Forcing the general public to do anything usually ends up with tears and tantrums especially when something as precious as email addresses are at stake. Let's just hope it doesn't do the same thing with Whatsapp, or we will see another future of modern messaging given the axe. But it spent billions on that so it will never die, right? Right? Zuckerberg thinks he didn't pay enough for Whatsapp. Just how deep are his pockets?